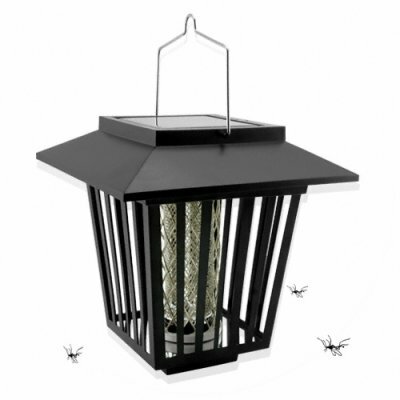 Successfully Added Solar Power Pest Killer - Landscape Light to your Shopping Cart. Solar Powered LED pest killer and landscape light offering flexible mounting options for either home or business use. Unique and thoughtful design allows this unit to be operated in either a white light only mode or a purple "bug zapper" mode. Primary power source is sunlight that charges the internal 600mAh battery. With an endless power source (the sun), there is no need for wires or any electrical supply. This is a perfect item for placement anywhere along a pathway, patio, or landscape area. Best of all, with Chinavasion's low wholesale price and quick shipping policy, you can order now and have your stock in time for that big landscaping project next weekend! No cables, stick in the ground and watch it light up!